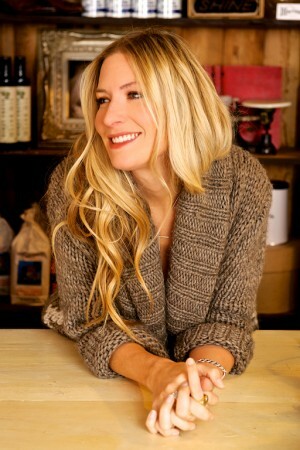 Holly Williams, a Nashville-based singer/songwriter, granddaughter of Hank Williams Sr. and daughter of Hank Williams Jr., grew up in the spotlight of country music legends and spent years on the road with her own music career. However, a very serious car accident in 2006 almost took the lives of Holly and her sister Hilary. She was left shaken and uncertain if she would ever be able to play guitar again. Her sister endured over 30 surgeries on her personal road to recovery. Not wanting to leave Nashville, she needed to have a “backup plan” in case she wasn’t able to continue her music career. That is when Holly’s life started to take on a new direction. A year after the accident, she decided to open her own clothing shop called H. Audrey, featuring some of her favorite designers and showcasing her own incredible sense of style, described as modern-day chic. 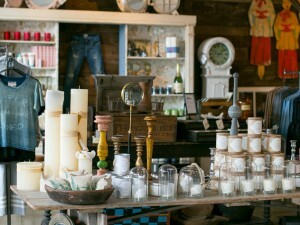 It has since grown into one of Nashville’s most beloved clothing boutiques. 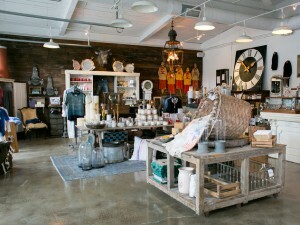 In 2013, Holly was itching for another retail project, so she opened the doors of White’s Mercantile, which she describes as a “general store for the modern-day tastemaker.” She named the store after her maternal grandparents and drew inspiration from the mercantile that her great-grandfather once owned in a small town in Louisiana. “My grandparents had an amazing sense of style and appreciated good craftsmanship. They are always in the back of my mind when I’m choosing items to buy for the stores,” she said lovingly. The original White’s location is in a beautifully restored old gas station in the trendy 12South District of Nashville, on a road coincidentally known as Granny White Pike. “I really lucked out with this location. The building wasn’t even for lease. I just called up the owner and asked him to meet me at Whole Foods where I begged and pleaded for him to let me rent it. He finally caved. I got really lucky,” she said. Holly may be from a long line of country royalty, but don’t expect to see rhinestones and cowboy hats. The entire shop is completely curated and stocked with Holly’s favorite items that she has discovered on the road. Both of her beloved stores show off her “exquisite taste,” as described by gal-pal Gwyneth Paltrow. 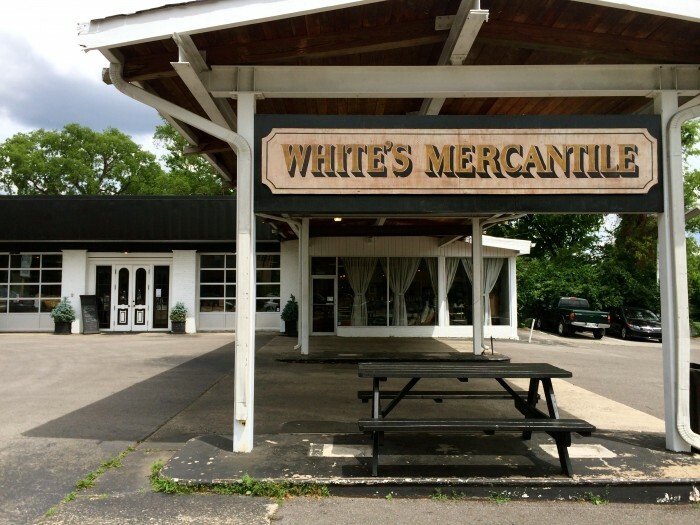 In December 2015, Holly opened a second White’s Mercantile location in Franklin, Tennessee. “With this location being larger than our other one, I’m able to carry items that I’m not able to carry in 12South, which I’m really excited about,” she said. Glassware, candles, cozy throws, dog treats, and even beard oil are just a sneak peek of what is offered on the shelves at the Franklin shop. Holly says she loves retail and music equally because they are a nice relief from each other. 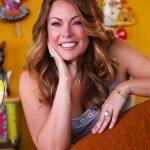 She even has a lifestyle blog called “The Afternoon Off,” which brings together her love of fashion, food, and travel. “I love beautiful packaging,” says Holly. “I’m a packaging freak!” She proudly says that Nashville Wraps has been her choice for her retail packaging from the beginning. 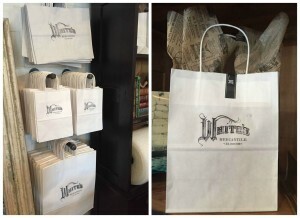 White’s Mercantile uses their white kraft bags with a hand-stamped logo, newsprint tissue, and finished with a black satin ribbon. Today, Holly is still playing the guitar and touring, and has released three critically acclaimed albums. Smart Retailer (SR): How do you balance your time between your music career and your retail locations? SR: What advice do you have for other retailers who are considering branching out into another genre of retail, or opening a second location? SR: Do you have events in your stores? Are there ones that you love that you would share with our readers? SR: What are some of the challenges you face in the retail industry? How do you address those challenges? SR: If you were given $100 to invest in your business how would you use it? What about $10,000? 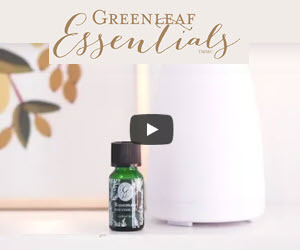 SR: What are your three favorite product lines? Why? SR: What would you identify as an important turning point in your business? SR: What traits do you have that you find makes you so successful in this business?